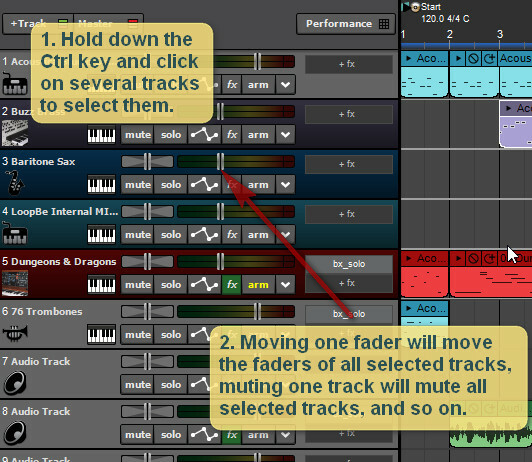 Mixcraft 8 allows you to perform operations on multiple selected tracks! Currently, none of the included effects in Mixcraft 8 support sidechaining. The pictured effect is a free one called Xhip Compressor. Density mkIII is another free compressor that supports sidechaining. See what's inside a collapsed submix track at a glance. 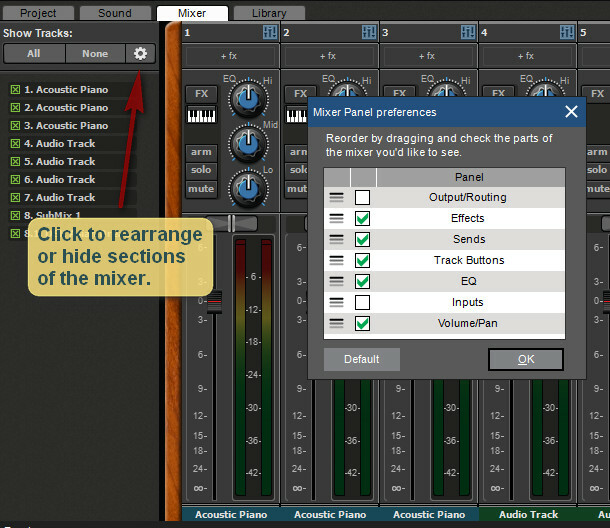 Mixcraft 8 allows you to customize your mixer layout. 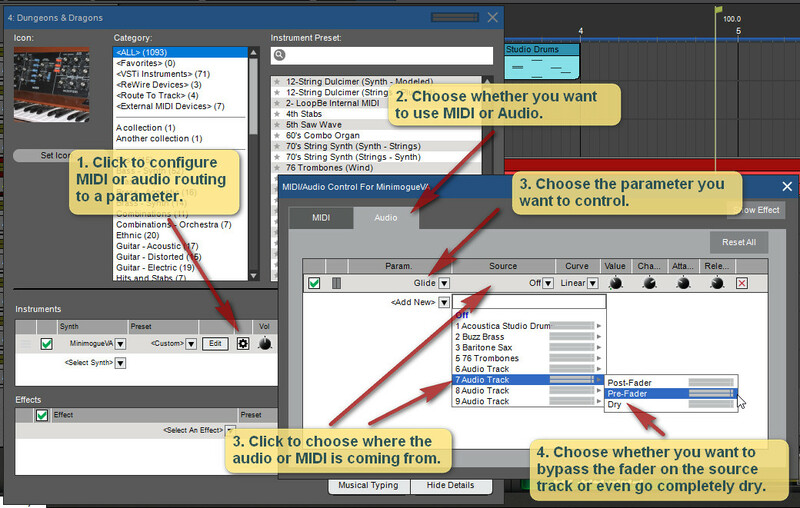 Mixcraft 8 has an option to route a MIDI track to another MIDI track. 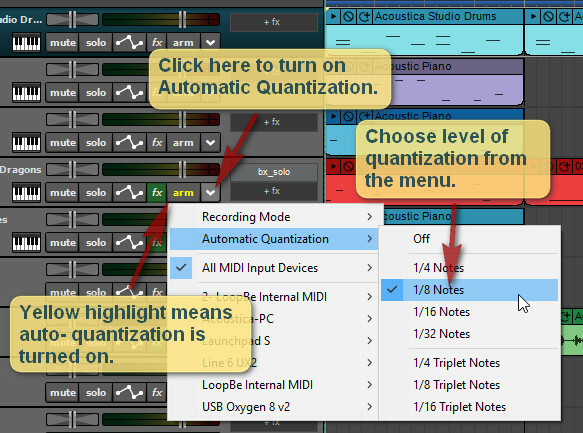 This would allow you to have MIDI on full-sized tracks for your multi-out instruments (like Kontakt), instead of having to use lanes! 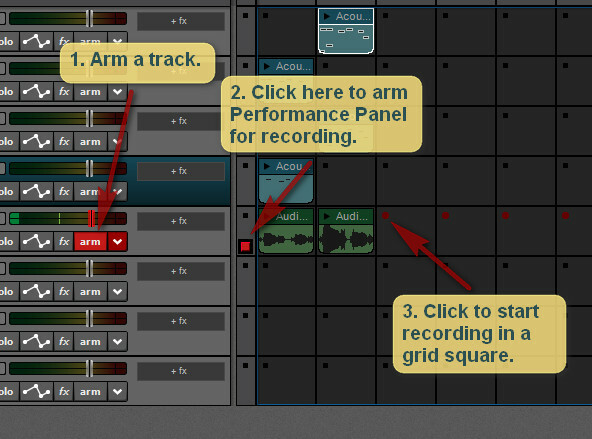 Mixcraft 8 allows you to drag effects from one track to another. Just choose "Show Effects On Tracks," or drag the left edge of the track area to the right. 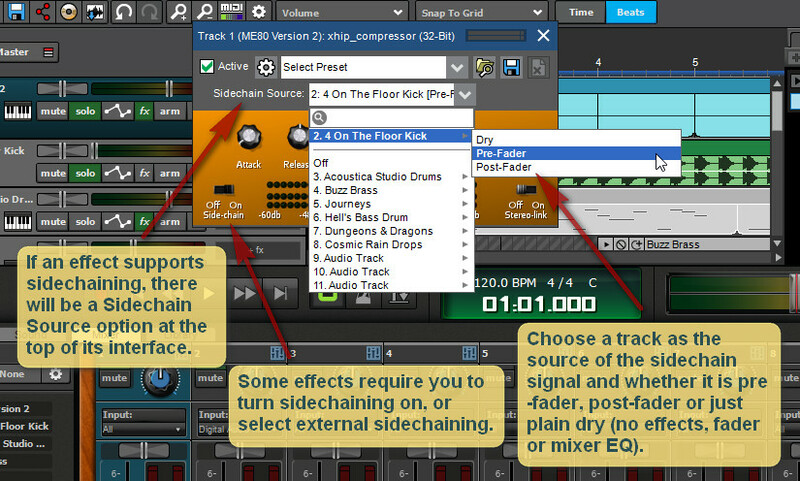 Show Effects On Tracks feature in Mixcraft 8. 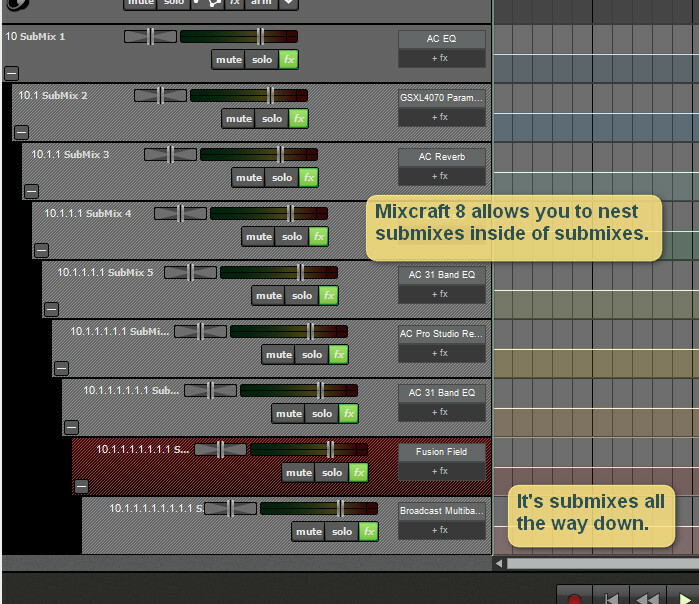 Mixcraft 8 allows you to browse your computer for loops. The old "Mix Down To Separate Tracks" option has been replaced in Mixcraft 8 with a new "Mix Down To Stems" option that allows you to customize your exported tracks. Mix Down To Stems option. Mixcraft 8 allows you to send MIDI Clock and Status Messages to your external MIDI device! MIDI Clock and Status Messages in Mixcraft 8. Record All Effect and Instrument Automation.